Very nice looking little guy! A few months back I got a female emperor pin (hypo) from Chun. She is gorgeous.. But a turd lol... If I open her tub and am across the room, she will see and start bluff striking lol. Hopefully she'll grow out of it. It would be interesting if ours were related. do you know how old yours is? I got mine in November (I think) at ~120 grams. Thank you! I love how pale his accents are. Your little lady is beautiful, and it sounds like she has a big personality to go with her coloration. I don't have a hatch date yet, but the ad was first posted in October, I think, so I'm guessing he hatched around August or September. It would be just crazy if they are actually siblings! Last edited by Pengil; 03-07-2018 at 08:05 PM. So little dude arrived Friday, and after weighing him and putting him in his tub, I went to work for about 8 hours. 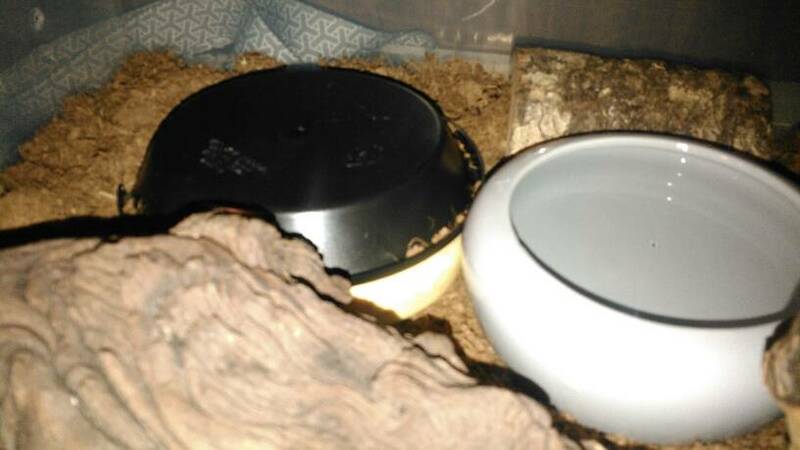 Came home and he was still out and about (pictures 2 and 3), but by the next morning (Saturday) he'd shoved things around in his tub, and was crammed under his warm hide. He's been there about ever since, other than a brief jaunt around the tub Saturday evening. I take this to be a good sign that he doesn't have much to complain about right now. Saturday I left him completely alone, but yesterday I replaced his water with fresh and peeped under the hide to make sure he was good. 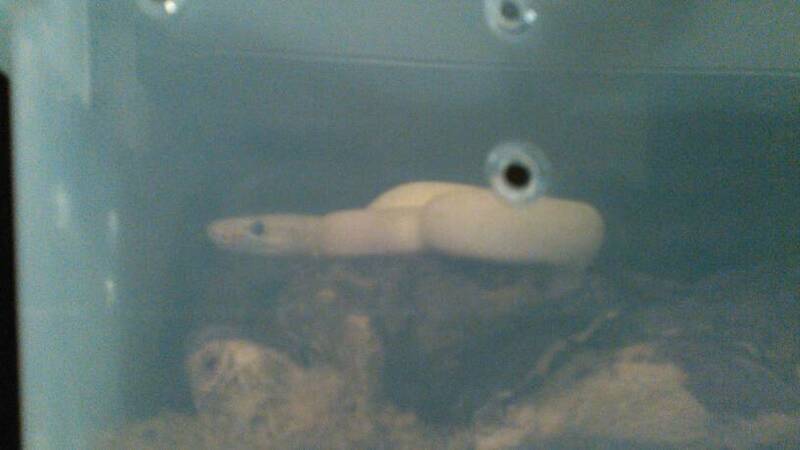 He came out for a tiny while after than, but has been back under his hide ever since. I might order some slightly bigger hides, but he doesn't stick out too bad right now, so I'll probably leave those in there for a little while even if they're a smidge small. My dad has had far more interest in him than anyone else in my family, oddly, so I sent him some pictures. He thinks he looks very fat and round, which is probably better than scary or gross. Last edited by Pengil; 03-13-2018 at 12:09 AM. I'm glad the little guy made it ok. Mine took right to f/t mice after I gave her a week to settle in. She's finally gone to f/t weaned rats for me. Hopefully yours will be a good feeder. Thank you! I can't believe I have such a gorgeous creature living in my house. He's such a perfect shade of yellow, and his really light parts are a very light cream, almost white... Makes it hard not to start looking for a future girlfriend for him. I went and picked up some feeder mice yesterday from a feeder store the next town over (nice, clean, fat feeders as far as I can tell so far, and frozen feeders are 50% off on Fridays ). I put one in a tupperware in the fridge before I left for work, so it thawed there for 8 hours. When I got home, I put it in a snack baggy, and set it in some very slightly warmer than room temp water for 1.5-2 hours while I made dinner for human consumption. Mouse was nice and thawed by then, so it took it into the snake room, hit it with a hairdryer until the head was at least 100 degrees, and then danged it in front of the hide he was in... Which turned out to be the hide I thought he was in. Feeding an empty hide does not work well, fyi. Apparently he was in his cool hide, which I've never seen him use. So back to the hairdryer mouse goes, dangled in front of the right hide this time. What little bit I saw of him didn't even twitch, so I tried one more time, and then, feeling like an awful (to use tttaylorrr's word) snom, I left it in front of the hide he was in. Even slept in the other bedroom to make extra sure he would have enough peace and quiet to check out the mouse. As far as I can tell, there is no mouse left this morning. I even poked my head inside his tub to double check, and it's not anywhere obvious. He's back to his warm hide, with a loop of body hanging out, so I'm going to tentatively assume that he found mouse, ate mouse, and is now digesting mouse. 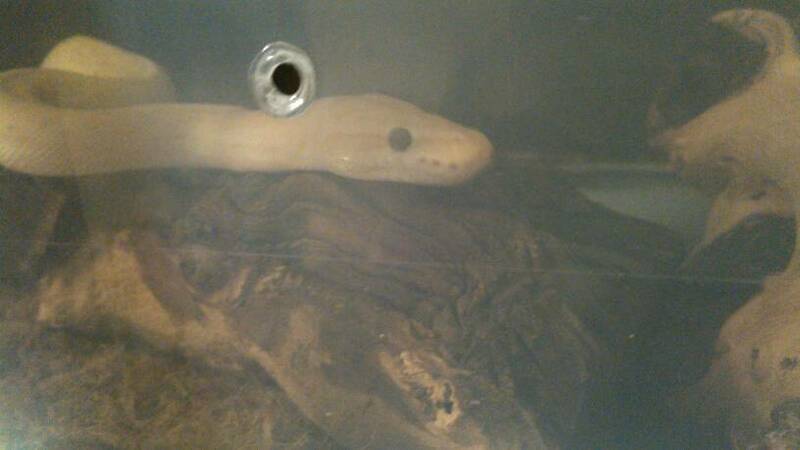 Tomorrow I'll check under the hides when I change his water, but I'd like to leave him as alone to digest (if that is indeed what he is doing) as possible. Very beautiful! 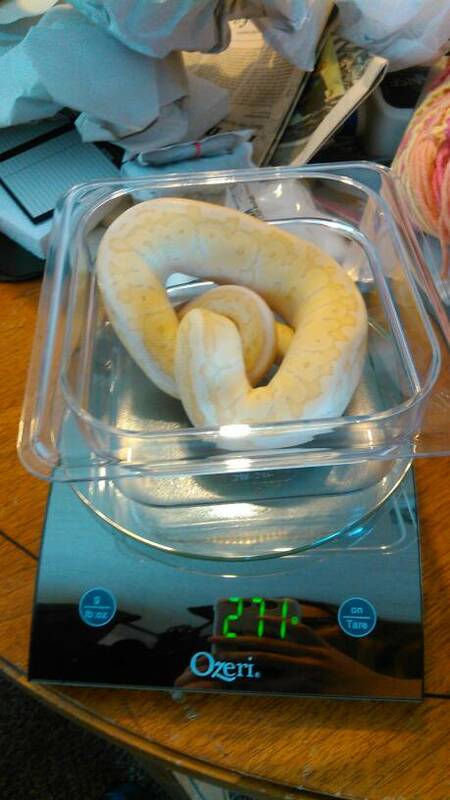 I got my banana enchi pastel boy from Dynasty Reptiles too, they have amazing bps and great customer service!